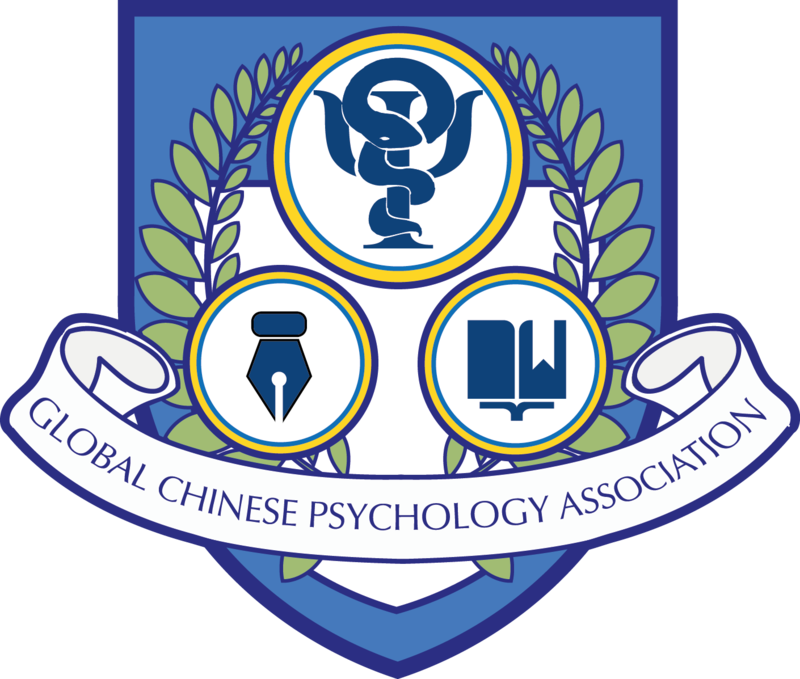 In 2015, Global Chinese Positive Psychology Association (GCPPA) has formally renamed as Global Chinese Psychology Association (GCPA), to reflect the increasing diversity of membership, with the aim to link all Chinese psychologists across the globe and encourage scientific research and application of psychology to provide reliable services and information to a wide variety of public sectors, educations and private corporations, ultimately improving psychological well-being in the general population. Recently, GCPPA members Edmond Chan, Danny Chow, Winifred Mark and Elena Kwong and GCPPA president Timothy So gave a stab at bringing positive psychology and community service together. 4 of their proposals on the promotion of positive psychology to the Li Ka Shing Fund’s Love Ideas Hong Kong have passed the competitive first-round selection and are in the final round of public voting and really need your support. The Li Ka Shing Fund is a charity fundfounded by entrepreneur Li Ka Shing. This year, the Fund has organized Love Ideas Hong Kong to provide financial support to creative, young people who want to give back to society and help those in need. Please support us by voting between 13/6/2011 – 3/7/2011 and help us bring positive psychology to the community! Below are the descriptions of our proposals. Never Alone is a one-day outing for kids at day care centres, through which volunteers will teach kids positive psychology in a fun and easy way. This way, they will be equipped with the ‘heart-ware’ to embrace and grow from the challenges life poses for them. Click here to know more the detail and vote for this proposal! You-Care is a program aimed at raising public awareness of psychological health issues, by uploading a minute-long video clip every day for a year. These videos will touch on evidence-based, psychological knowledge for the workplace, family, society and more, with support from psychologists from the University of Cambridge and the Chinese University of Hong Kong. What’s more, viewers will also be able to discuss methods of enhancing emotional health and preventing psychological problems on our online forum. 香港幸福相簿(literally "Hong Kong Wellbeing Photo Album") is a campaign aimed at spreading the joy of giving through photography. 50 lomography cameras will be distributed to 50 participants, all of which have 1 week’s time to help a stranger in need (chronically ill patients, elderly who live alone etc.) and capture that blissful moment on film. Then the camera, along with a note recording his/her thoughts and feelings about the act of kindness, is passed onto another friend. As these cameras circulate in Hong Kong, so will the warmth of lending a helping hand to those in need. All of these cameras will be collected at the end of the year, their photos developed and exhibited as posters all over Hong Kong. Little-Dream-Lighters is a free, summer English program chiefly organized by Winifred Mark and Edmond Chan, who already have 1 year’s experience in its implementation. Last year, over 80 children from low-income families in Sham Shui Po learned English through group activities, positive psychology interventions and even wrote and illustrated storybooks as groups. Professor Martin Seligman and President Timothy So featured in the New York Times! Prof. Seligman was featured in the New York Times last month, where he discussed his new book Flourish and his views on whether happiness is ‘overrated’. He points out that nowadays a lot of people pursue things that bring them no positive emotion, but a feeling of accomplishment, and that, too, is important if one wants to flourish. Research by GCPPA President Timothy So, and GCPPA’s Advisory Board member, Felicia Huppert of over 23 European countries produced findings that echoed Prof. Seligman’s view that meaningful relationships and accomplishment are crucial to wellbeing. In fact, their measurement of wellbeing (i.e. flourishing) is claimed by Prof. Seligman in the interview and also in an entire book chapter of Flourish, as "the best gauge so far of flourishing". Positive Paperbacks edited by GCPPA to be published by Cheers Publishing and GCPPA! 2 more books will be published by Cheers Publishing – Happiness: Lessons from a New Science by GCPPA Advisory Board Member Prof. Richard Layard and The Happiness Advantage by Shawn Achor. Both books will be included in the Wellbeing Series for which chief editing will be conducted by GCPPA’s president Timothy So. In The Happiness Advantage, Shawn Achor (Harvard Lecturer & founder of corporate strategy firm Good Think Inc.) and thousands of Fortune 500 executives in 42 countries shows us from experience and solid research how happiness is the foundation for achievement. Furthermore, there are methods to channel this positivity into potential, tested across countries and contexts. In Happiness: Lessons from a New Science, readers will view western consumerism culture and present economic policies through the eyes of an outstanding economist, Lord Professor Richard Layard of London School of Economics, and how, paradoxically, these economic policies actually reduce some factors conducive to happiness. The International Journal of Wellbeing (IJW)was launched on 31st January, 2011. The IJW represents a bringing-together of economics, psychology and philosophy, in the study of wellbeing. It also provides a platform for a joining of minds across the globe. However its most significant, pioneering feature is the joining of academic research and the general public – any reader has full online access to IJW! What’s more, our president Timothy So will be joining the IJW as a member of the editorial board. Keep tuned in to http://www.internationaljournalofwellbeing.org/ for the latest wellbeing research! Know anybody talented, artistic and eager to take on graphic and layout design projects for newsletters, brochures, websites and other publications? Or do you projects for newsletters, brochures, websites and other publications? Or do you happen to have experience, expertise or passion for graphic design yourself? GCPPA is now looking for such volunteer designers! Don’t miss the chance to flaunt your talents under the international spotlight. Email your resume to and now! Since 2008, GCPPA’s president Timothy So has been an associate editor and regular author for Positive Psychology News Daily (PPND), publishing articles on the 18th of each month. This year, GCPPA’s other senior members will also be contributing to PPND’s by writing alternately with Timothy. The first of these is Theodore C. K. Cheung, an clinical psychologist in Hong Kong and, needless to say, a valued GCPPA member. His article titled ‘Free Will v.s. Free Won’t’ was published in PPND last month, which discussed the essence of the mind-body interaction in affecting our pursuit of well-being, and the philosophical and scientific exploration of free will. We look forward to the upcoming articles very much! Our president, Mr. Timothy T.C So, was honored to be invited to attend Davos World Economics Forum 2011. He took this golden opportunity to promote the application of well-being research in economics and public policy to various business and political leaders. There were more than 10 interviews with Chinese policy and business leaders on the topic of well-being and its applications, for which a special issue will be published by Timothy. Surprisingly, there were no official sessions in Davos that were directly related to well-being. We hope that with the work done by GCPPA and all our partnership, we can promote the development of well-being agenda in Davos meeting in the short future. The world's first organization dedicated to promoting happiness has been officially launched in UK. Action for Happiness, which declares to have 4,500 members in more than 60 countries, aspires to become what it claims "a global mass movement for fundamental cultural change". It plans to achieve this by placing high priority on healthy relationships and meaningful activities. Action for Happiness was founded last year by Richard Layard, Professor of economics at the LSE and Advisor of GCPPA, Geoff Mulgan, Chief Executive of The Young Foundation and Anthony Seldon, Master of Wellington College. This official launch comes at a time when the government is conducting a survey on the life-satisfaction of UK households, as an attempt to measure happiness. The UK Office for National Statistics has appended these questions to the existing nationwide Integrated Household Survey, which took place in the recent UK census. GCPPA President Timothy So is serving as an expert advisor of Action for Happiness (for names of other advisors, please visit here). GCPPA's President Timothy T.C. So is honoured to be one of the 25 awardees of the “World Chinese Enterprising Model” annual selection for outstanding contribution to China and various countries’ economy, politics, culture and education. The enterprising story of GCPPA and personal portrait will be included in the World Chinese Model Celebrities Large-scaled Portrait Stamp Album. The “World Chinese Enterprising Model” Awarding Ceremony and Premiere of World Chinese Model Celebrities Large-scaled Portrait Stamp Album will be grandly held in the People’s Great Hall in Beijing and Diaoyutai State Guesthouse from 20-22 May 2011. At that time, Mr. Zhou Tienong and Mr. Cheng Siwei - Vice Chairmen of the NPC Standing Committee, Mr. Li Wuwei, Mr. Zhang Huaixi - Vice Chairman of the Chinese Political Consultative Conference and leaders of relevant national ministries, departments and bureaus will be present. The activity aims to promote cooperation, technical and cultural exchange, and development of overseas Chinese societies, as well as establish win-win relationships and innovative business platforms for overseas Chinese and accelerate China’s prosperity and progress to world peace. A groundbreaking book - ‘FLOURISH: A New Understanding of Life’s Greatest Goals—and What it Takes to Reach Them’ written by the founder of the Positive Psychology movement, author of the international bestselling Authentic Happiness and GCPPA Chief Advisor, Martin Seligman has been published! Prof. Seligman has been on the cutting edge of Positive Psychology research for over two decades, being a pioneer of a science that improves people’s well-being. He proposes a new conception on what makes people flourish and how to truly get the most out of life. With this book, he suggests a new theory of individual satisfaction and global purpose. Flourish refines the conception/concept of Positive Psychology and provides real-life stories of the application of Positive Psychology—schools that innovatively add resilience to their curricula; a new theory of success and intelligence; and evidence on how positive physical health can change medicine completely. He illustrates to us how to flourish and enhance well-being of our own lives.